DriForce can provide you with all your water cleanup services. When your basement or crawl space suffers flooding damage, DriForce will come to your home immediately to assess and fix the damage. Our water extraction equipment and restoration services will leave your basement looking better than ever. DriForce Property Restoration has been serving Metro Detroit for over 10 years. We are always striving to make your emergency as stress-free and easy as possible for you. We offer 24/7 support with our live operators and highly trained and skilled technicians. 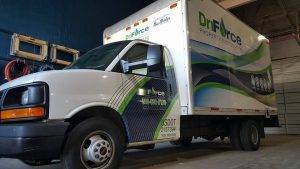 If you find yourself looking for wet basement solutions for your home or business, don’t hesitate to call DriForce. We have the experience, knowledge, skills, work ethic and honesty that you need to quickly move on from a flooded basement. The most important thing to us during a basement flood cleanup is getting out all of the water quickly and ensuring that the basement is dry. We want to make sure that the water does not cause any structural damage or secondary problems. We then go through the dehumidifying process to remove all the moisture from your basement so we can begin the restoration process. The restoration of your basement will depend on the amount of damage done. At DriForce, we pride ourselves in being as thorough as possible in our analysis and solutions. Our goal is to always leave our customers 100% satisfied with our services. We will work with you throughout the process to guarantee that all your concerns and needs are taken care of. When you suffer water damage to your home, it comes without warning. Often times, you won’t be financially or mentally prepared to deal with it. The good news is we have trained specialists that will guide you through the process from beginning to end. We keep constant communication so all your needs are met and there are no surprises. DriForce works with all insurance companies and makes sure that your claims are processed as quickly as possible. Our team is dedicated to getting your home restored and remediated as fast as possible. Trust the restoration company that is going to put in the long hours to restore your home and life back to normal. At DriForce, we understand that you were not prepared for the cost of a flooded basement cleanup. Budgets can be tight and service costs can often start piling up throughout the process. Our live operators are available 24/7 and will provide you with all the cost details. Our integrity and honesty have made us Detroit’s premier flooded basement cleanup company. You will be comfortable going into the process by knowing exactly how much you are paying and what you are paying for. No hidden costs. We are a family-owned business that serves Metro Detroit exclusively. We know how difficult situations like this can be. 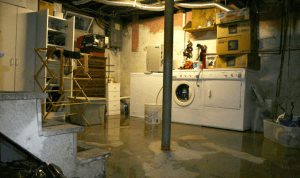 Don’t wait any longer to start your wet basement repair. Our professional team is available 24 hours a day, 365 days a year to provide you with the immediate assistance you need. We are dedicated to helping your family return your house back to the home you remember. Contact DriForce today for your basement cleanup services in the greater Metro Detroit area by giving us a call at (877) 638-0081 or fill out our online form for a free estimate.